A comfortable ride on our MRT with our LINE friend. If you are a fan of LINE Friends, hopped out of Somerset MRT onto the 313@Somerset Level 1 Atrium and have a fun time taking photos with the LINE Friends. 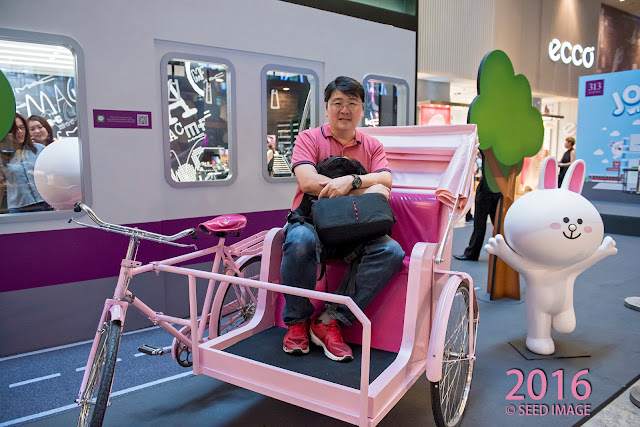 Do share a joy ride with them in the various transportation channels ( MRT, Taxi, Trishaw ) found locally in Singapore. 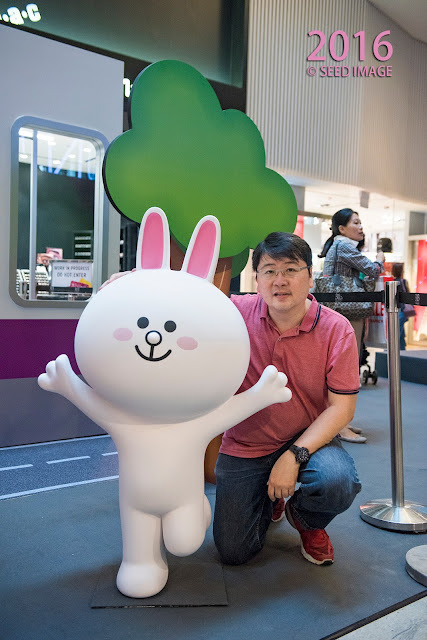 Having a selfie taken with a LINE friend. 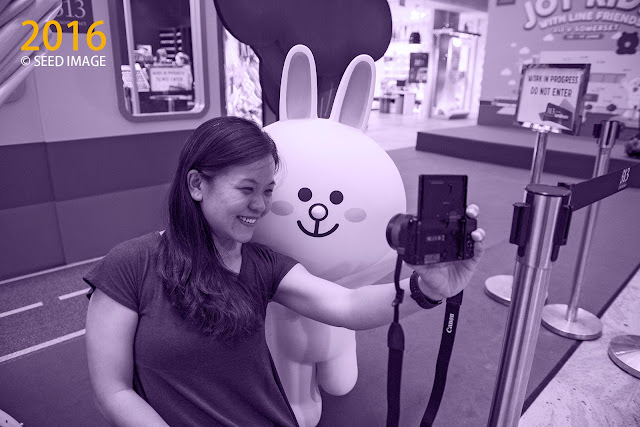 Whether you are going to have a selfie with any of the LINE friends, they will be most willing to cooperate. Sink into the atmosphere of joy and be part of LINE friends celebration. 313@Somerset is the first shopping mall in Singapore to launch an official account on LINE in June 2015. As part of their relaunch in partnership with LINE, 313@Somerset will be launching a set of eight (8) Carrie & Belle #BFFNoMatterWhat LINE Stickers Vol. 2 that will be made available for free downloads on the LINE Sticker Shop from 7 June 2016. This will be the first set of animated stickers that is of non-LINE characters to be launched in Singapore. 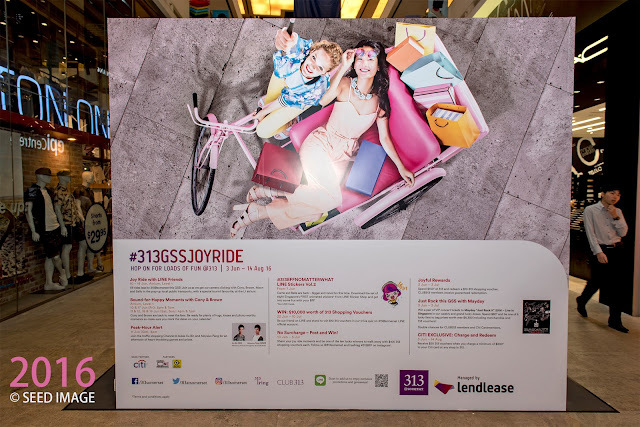 Shoppers stand a chance to win 313@Somerset shopping vouchers when they take part in the No Surcharge – Post & Win #313BFF Instagram contest or when they add 313@somerset as a friend on LINE and answer the trivia quiz on the 313@Somerset LINE official account. Peak-Hour Alert with Xu Bin & Aloysius Pang as shoppers can look forward to an afternoon of games and prizes with the two heart throbs on 11 June 2016 (Sat), 4pm. 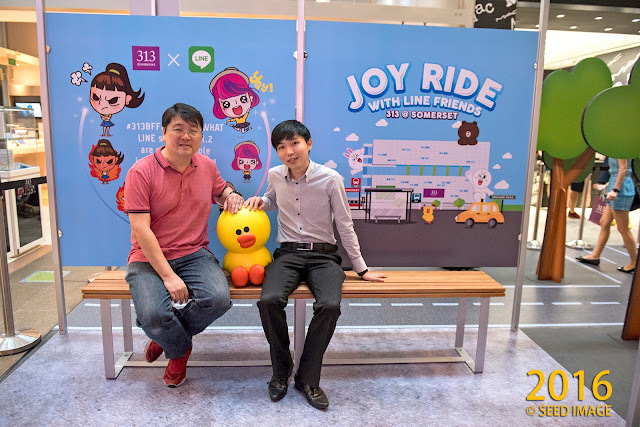 Remember to head down to 313@Somerset and have a fun GSS and a joy ride with your favourite LINE Friends. Don't wait too long, otherwise, they will say bye bye to you. 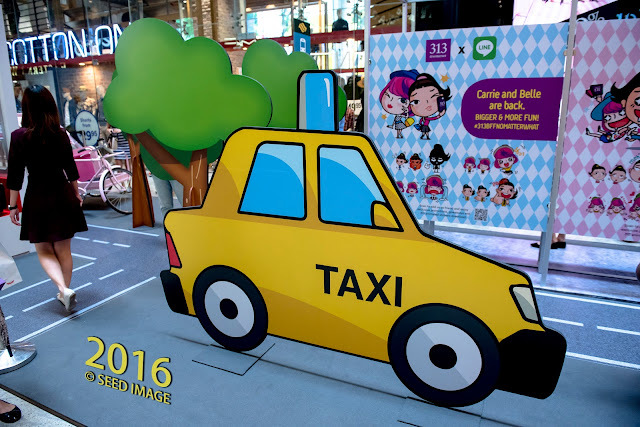 The event is from 3 June 2016 to 14 August 2016. I glad to have a photo taken with a cheerful LINE Friend. It just make my day a joyful one. Waiting together with LINE friend and Blogger friend at the bus stop. I am glad that the trishaw can still take my weight. A Taxi just passed by.